It's not too late to move your gifted child to a school that understands their needs. Most schools don't have the resources or expertise to meet the unique needs of gifted learners. Unfortunately, many parents don't realize that until well into the school year. That's why Menlo Park Academy makes it easy to change schools. 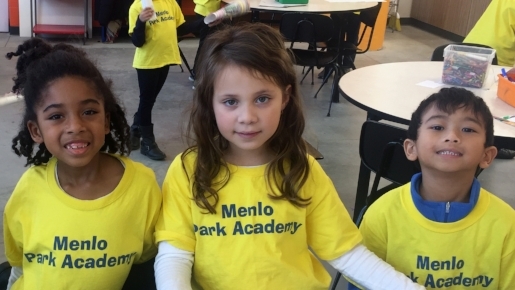 Menlo Park Academy is Ohio's only tuition-free K-8 school designed solely to serve the unique needs of gifted learners. At Menlo, we understand your child isn’t just gifted for one hour a day. Our entire curriculum is designed to meet the unique needs of gifted learners. At Menlo, you will find a community that supports gifted learners and their families, providing them with resources and connections. At Menlo, your child will have caring teachers dedicated to understanding their individual needs to ensure lessons are challenging and engaging. Our newly renovated building ignites the imagination of gifted learners. We created a unique learning space while breathing new life into the historic Joseph & Feiss building. Our educators worked closely with our architects to design a beautiful space for gifted learners to engage, create, and explore the world around them. Check out these great photos of our new building. See for yourself the amazing difference a school dedicated to understanding and meeting the needs of gifted learners can make for your child.